Ubidata has enjoyed a very busy SITL 2017 this year with the organisation of a key conference on the future trends in the mobile logistics and supply chain sector as well as launching new products to reinforce its offering. 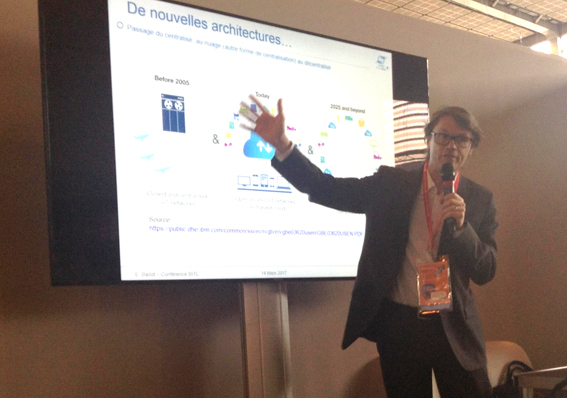 This year’s SITL saw the continuation of Ubidata’s collaboration with Eric Ballot, professor of MINES Paris Tech in order to bring an appraisal of new and emerging applications in the supply chain industry. Professor Ballot’s keynote talk proved extremely popular with a conference area packed with people ready to hear ideas about the future of logistics and a more visible, interconnected and synchronised supply chain. This interesting talk provided a window into how the internet of things or ‘Logistics 4.0’ will have an impact on how the supply chain evolves and has an impact on companies directly involved in logistics at all levels. Ubidata is also addressing the future of mobile logistics in its evolving product line. 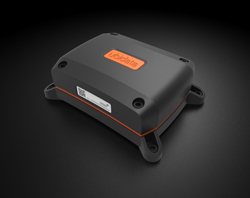 This year’s SITL saw the unveiling of Ubidata’s v4 telematics device UbiGET-IT (see image) the design of which has been created by award-winning product design agency, Achilles. This, combined with our improved Track and Trace software Ubi-TT and our handheld device UbiSMART, we are confident offers a comprehensive mobile logistics solution to give our clients the ability to manage, maintain and streamline their mobile supply chain. Our product range gives Ubidata the opportunity to help its customers assure quality in their operations by combining innovative technical excellence and a service oriented approach. Ubidata builds telematics mobile logistics devices and by forging partnerships with our customers we help resolve problems in the logistics arena collaboratively. Ubidata’s flexible telematics and mobile logistics system is built on standard Ubidata components but they fit to the customers’ requirements as if tailor-made. Our instant alerting System captures all data, speed, positioning temperature and combines these factors to render pertinent information to send instant predictive and actionable alerts to drivers or dispatchers. UbiSmart's modularity empowers delivery operators and streamlines the management of the mobile supply chain. It covers all activities in delivery management, execution and auditing, supporting the key players in the supply chain. Furthermore it works independently of the vehicle making it a real mobile logistics powerhouse. Ubidata continues to look to the future of supply chain enabling its clients to better make decisions about their logistics operations through the management of data and the delivery of the right information at the right time to the right place.